All it takes is one soak to become hooked on Pagosa Springs Resort. The bathhouse at Pagosa Springs Resort. Courtesy Pagosa Springs Resort. You’ve likely cruised through tiny Pagosa Springs on your way to ski “the most snow in Colorado” at Wolf Creek. If your only stop was for gas, then you made a terrible mistake. This high desert town in the upper San Juan Basin merits several hours, if not days, of attention. 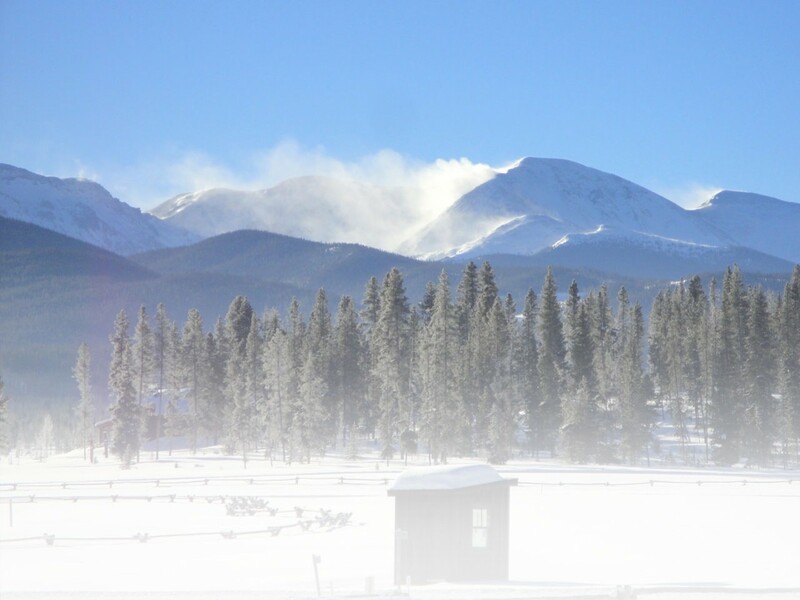 Although Pagosa Springs is only 22 miles from big mountain skiing, the Archuleta County seat is immediately surrounded by three million acres of San Juan National Forest and the Weminuche Wilderness Area. Just 35 miles north of the New Mexico border along the Western slope of the Continental Divide, Pagosa sits at 7,126 feet and offers dozens of miles of singletrack and groomed cross-country trails for snowshoers of all abilities (check out Pagosa Nordic for a comprehensive trail listing and Visit Pagosa Springs for information on where to rent snowshoes). Just an hour away, Durango, Colorado, offers one of the area’s best snowshoe races; Steve Ilg’s Winter Warrior 10K is a USSSA national qualifier that takes places each February. The word “pahgosa” comes from the Ute Indians, who used the springs throughout the 1800s. “Pah” means water and “gosa” means boiling. Courtesy Pagosa Springs Resort. Stay at Pagosa Springs Resort, a 79-room hotel just off the main drag. The only thing between your room and the San Juan River are 23 bubbling hot springs. In fact, the resort was built around the world’s deepest geothermal hot spring, which not only gurgles quietly on the building’s west flank, but is also used to heat the resort buildings and provide hot water to the hotel (which, by the way, was the first LEED certified hotel in Colorado). The 144-degree “Great Spring,” as it’s called, is at least 1,002 feet deep—likely much more, as the plump line ran out before reaching its bottom. Although soaking is not allowed in the Great Spring, the other pools are open to guests 24/7 and vary in temperature from 83 to 114 degrees. The water contains minerals ranging from chloride to zinc and has been proven to relieve symptoms of arthritis, eliminate body toxins, strengthen bones and aid digestion—just about perfect for winding down after a day on the trails or even after an award-winning Weapon of Self Destruction Russian Imperial Stout at local Riff Raff Brewing Company. Water continually circulates through each pool, any many feature otherworldly rock formations created by mineral deposits. During the day, the pools offer a front row seat to the rafters and kayakers paddling down the Rio. Looking down on the Piedra River Trail. The hotel offers a complimentary beverage bar, but you’ll want to start your day at River Pointe Coffee Cafe, which serves up the best lattes in town and is just a short walk across a footbridge from the resort. Or, head east on Main Street to Pagosa Baking Company for handcrafted quiches, breads, and pies. Checking out at 11 a.m. but need someplace to shower after your midday snowshoe adventure? Hotel guests have access to the springs all day long. So head for the hills (we like the Piedra River trail) and then come back to the resort to soak and rinse off before heading home. On your way out of town, grab a meal at Pagosa Brewing that starts with the crispy fried green beans or the beer battered fries and artichoke dip. Then, move on to burgers and pizza. The rapidly expanding restaurant also has at least 19 different beers on tap, ranging from Powder Day IPA to the Soaker’s Stout. One of the most popular, Poor Richard’s Ale, was the commemorative beer recipe for Ben Franklin’s 300th birthday at the National Constitution Center and incorporates ingredients, such as molasses, that Franklin would’ve used to brew beer in the 1700s. We like to think that Franklin—who exercised religiously—would’ve enjoyed the hot springs, too, had he ever made it this far west. Trails in the Pagosa Springs area. This entry was posted in Destinations, Features, Homepage Featured by Whitney Spivey. Bookmark the permalink.